A B.C. man with a rare form of leukemia needs to make it to the United States as a last ditch effort to treat his cancer. On January 29, after a multitude of treatments, all doctors in Vancouver could do was give 24-year-old Brandon Durieux comfort care, meaning there was nothing left they could do – the cancer was going to claim Brandon’s body and eventually his life. It all started back in August 2015 when Brandon went in for a routine blood test and was diagnosed with Acute Myeloid Leukemia, which affects a certain type of white blood cells. It’s called “acute” because the progression of the disease is rapid. 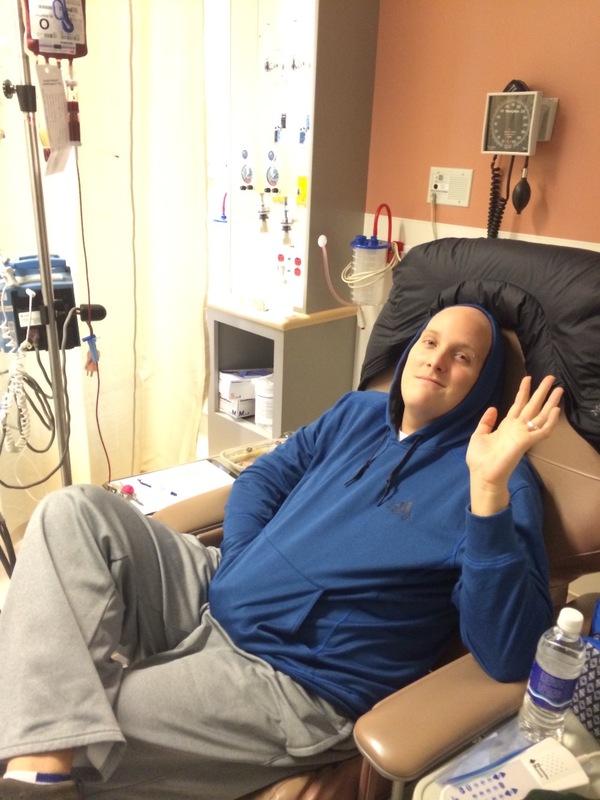 A subsequent test showed that 90% of the stem cells in Brandon’s bone marrow were cancerous. The first round of chemotherapy only reduced that number to 40% – most patients experience remission with this initial treatment (less than 5% cancerous cells), but Brandon wasn’t so lucky. The next step was “salvage chemotherapy,” a more intense round of treatment that is supposed to wipe out any remaining cancer cells. This approach leaves patients with very little in the way of an immune system, and Brandon became very ill as his white blood cell count lowered to zero. It was discovered then that Brandon has a very rare mutation of leukemia called FTL3-IDT, which places him in the highest risk group. Those means Brandon’s cancer is the most resistant to treatment and places him at a very high risk of relapse. At this point, the only thing that will help Brandon is to get his cancer into remission so he can receive a stem cell transplant. 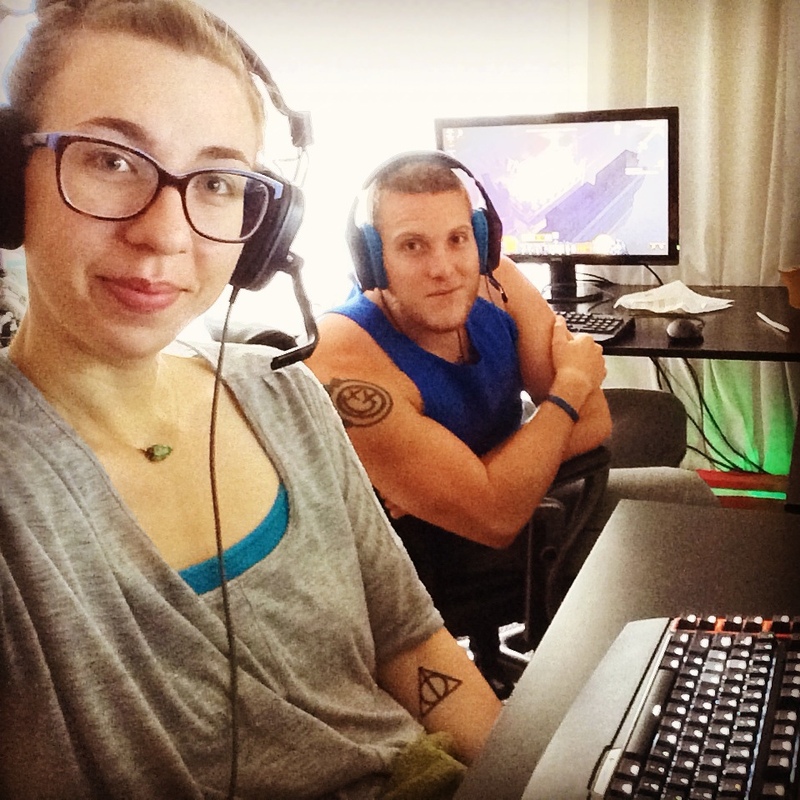 Brandon and Michelle first met five years ago through the online video game World of Warcraft and became instant friends. Brandon lived in Victoria, while Michelle was in Austin, Texas, but they knew there was an instant connection. And Michelle did just that in January 2014. Both Michelle and Brandon knew the only way to make this work was if one of them moved to the other’s city. Michelle had a life-long fascination with marine biology, so she applied to the University of Victoria. She was accepted, which meant she was moving to Vancouver Island from Texas in July 2014. The couple had been together for just over a year when Brandon got his diagnosis. After spending two months in the hospital, Brandon was released for their wedding day on October 18, 2015. He had no immune system, but Michelle described it as the most beautiful day of their lives. 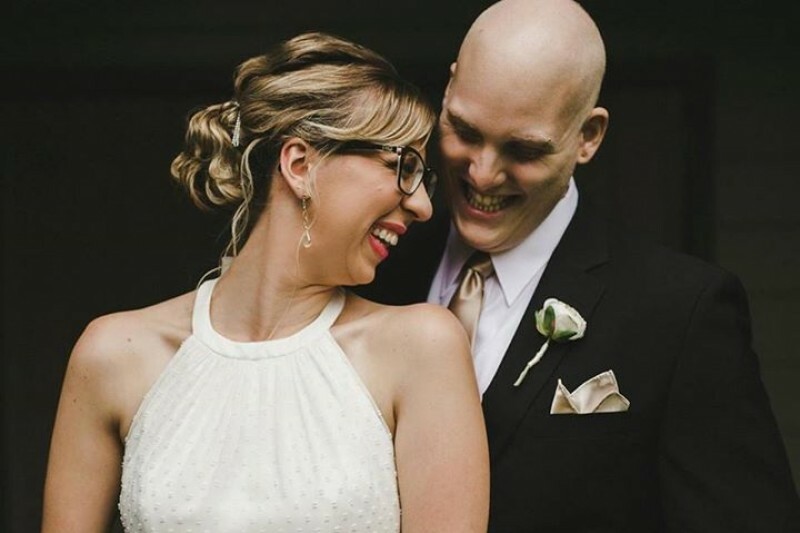 Now that Brandon has exhausted all of his options here in Vancouver, the couple are trying to make down to Houston, Texas to get treatment at MD Anderson, a world-class cancer treatment hospital. Because Brandon is a Canadian citizen, it comes with a rather hefty price tag: $37,000 just for a consultation plus hundreds of thousands of dollars for his treatments. The couple have a GoFundMe page to help Brandon and Michelle raise the money they’ll need for the consultation and subsequent treatments. Thursday, February 4 is World Cancer Day, and you can help by donating to this couple or any number of organizations here in Vancouver and globally. To help give Brandon a fighting chance, donate by clicking here.